Your stomach produces acid to help digest the food you eat. Sometimes, the stomach acid moves up the esophagus and causes irritation. 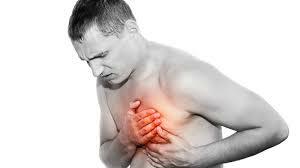 The acid can damage the cells of the esophagus and cause serious pain known as heartburn. It is more like a burning sensation that you experience in the center of your chest. The condition can be positional, which means that the pain increases with a change in your position – it becomes worse when you bend at the waist or lie down. The pain usually becomes worse at night. So many factors can make your condition worse. Can You Get Heartburn from Not Eating? It is quite common for people to experience heartburn on an empty stomach. You may also experience the sensation when you drink a caffeinated or carbonated beverage. However, it is important to understand that heartburn is not actually the result of your diet, but it happens due to acid reflux. An acid reflux can hit you even when you have not eaten anything. There is a muscle to keep the stomach acids and other liquids in your stomach, but this muscle, which is called the lower esophageal sphincter (LES), can become weak or relax after you eat certain foods. This can cause heartburn, even on an empty stomach. You can develop heartburn after eating certain types of foods. By controlling the type and amount of certain foods, you can help control your condition. For instance, the muscle that keeps the stomach acids from coming out of your stomach may be forced open when you have overeaten. Certain types of foods can lead to the over-production of stomach acids, which can also contribute to heartburn. Heartburn on an empty stomach is quite the same, but it is not triggered by what you eat but by the lack of food. When there’s no food in your stomach, your stomach acid can get concentrated. And when it gets to your esophagus, symptoms are much worse than the heartburn triggered by food. You eat close to bedtime. If you eat a couple of hours before going to bed, you are likely to deal with acid reflux and heartburn at night. In other words, it is difficult for LES to keep the stomach content from coming out when you hit the sack on a full stomach. If you have already been diagnosed with GERD, you should never eat too close to bedtime and never lie down soon after eating something. You have a high BMI. People with a higher Body Mass Index (BMI) are likely to experience heartburn because of an increased pressure within the abdomen. This can make the sphincter muscle to relax and aggravate your GERD at the same time. The best thing is to talk to your doctor and consider losing weight. You will notice a significant reduction in your symptoms just by lowering your BMI. You drink too much alcohol. People with heartburn should avoid alcohol as much as possible because it relaxes the lower esophageal sphincter. Your symptoms may become worse if you drink before going to bed. You eat the wrong foods. A diet rich in spicy foods, onions, and soda is going to put you at an increased risk of developing GERD and heartburn. You need to make sensible food choices and avoid something if it makes you feel bad or causes any type of pain. Pay attention to your diet and identify any triggers. Foods like coffee, chocolate, and dairy can aggravate your symptoms. You may consider eliminate certain problem foods from your diet and see if it makes you feel better. If your symptoms persist, you may be eating something else that is causing a reflux action. Consider eating smaller meals more often. You are more likely to experience heartburn when you have a full stomach. It is better to eat smaller meals and give your stomach time to digest it properly. Eat slowly to make it easier to digest your food. If you would take more time to eat your food, your stomach will have to produce less acid to break it down and digest. Eating slowly would also ensure that your body absorbs important nutrients for you to stay healthy. Avoid lying down soon after eating anything. You need to work with gravity to avoid experiencing heartburn. If you lie down after eating, you may end up noticing your stomach contents move up the esophagus and cause serious pain and discomfort. Consider keeping your head elevated before sleeping to avoid discomfort. Include a probiotic in your diet. You can opt for probiotic supplements or eat certain foods, such as yogurt to increase your intake of good bacteria. These bacteria help improve your digestion, and with a healthier digestive system, you are less likely to experience heartburn and GERD.